Professor Per Ottar Seglen, formerly head of the Proteomics & Mammalian Cell Biology Section at the Institute for Cancer Research, OUH, currently a guest researcher at NCMM, has been awarded the prestigious King Olav V’s prize for Cancer Research 2017. The award, formally announced by the Norwegian Cancer Society today, is recognized as one of the Norwegian cancer research community’s most respected prizes. Professor Seglen has been awarded the prize in recognition of his ground-breaking research into autophagic-lysosomal protein degradation and its relationship to cancer. The prize will be officially presented by King Harald V, on behalf of the Cancer Society, at a special ceremony on 6 June 2017. The prize is NOK 1 million. Per Seglen is one of the world’s pioneers when it comes to autophagy. His research, conducted in its entirety at Norwegian institutions, has been responsible for many of the central discoveries, concepts and terms on which the field of autophagy is founded. Autophagy is an umbrella term for the processes by which a cell segregates and digests part of its own cytoplasm. This digestion means that cells can provide themselves with the essential building blocks and energy when its external supplies are restricted. Per Seglen has been working with autophagy, protein metabolism and cancer for over four decades. He was the first to discover the close relationship between cancer and autophagy in 1985. Through self-developed models and assays, he was able to show that the suppression of autophagy was the major mechanism of mass growth enhancement of liver cancer cells. The medical importance of autophagy was recently highlighted by the Nobel Prize in Physiology or Medicine 2016, when it was awarded to Professor Yoshinori Ohsumi for his ‘discoveries of mechanisms for autophagy’. Per Seglen’s research was highlighted by the committee when reviewing the background for the prize. 'I am truly honoured to receive this year's King Olav V's Cancer Research Award. The honour should be shared with the many gifted coworkers with whom I have had the privilege to cooperate over the years. 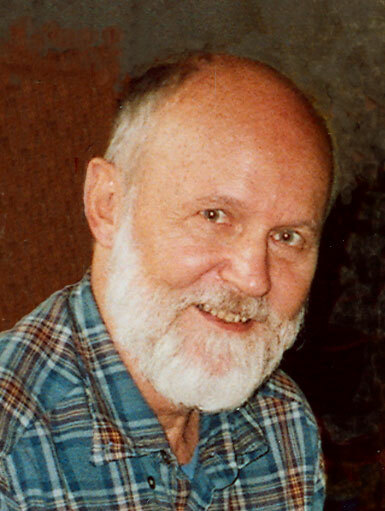 Most of Per Seglen's research career was spent at the Institute for Cancer Research at the Radium Hospital (1970-2013). Since 2013, he has been a guest researcher at NCMM. His collaboration with former NCMM group leader Ian Mills and the autophagy research project group, led by Nikolai Engedal, has led to important new discoveries about novel aspects of autophagy regulation, as well as numerous publications. An exciting project, funded by the Norwegian Cancer Society is currently underway, which is exploring a fundamentally novel form of autophagy and its relationship to cancer. The King Olav V Prize for Cancer Research was also won by NCMM’s Director, Professor Kjetil Taskén in 2016 for his work with immunotherapy. ‘I and my colleagues at NCMM are so pleased that Per’s work has been recognized in this way. He is a true pioneer when it comes to research in autophagy and cancer, and his contributions to the field have been enormous. He has undoubtedly shaped how we carry out research in cancer and autophagy, not just in Norway, but across the globe. In 2016, the Nobel Prize in Medicine or Physiology was awarded to Yoshinori Ohsumi at Tokyo University of Technology “for his discoveries of mechanisms for autophagy”, a process by which cells “eat” portions of their own cytoplasm to generate amino acids or get rid of potentially harmful objects. 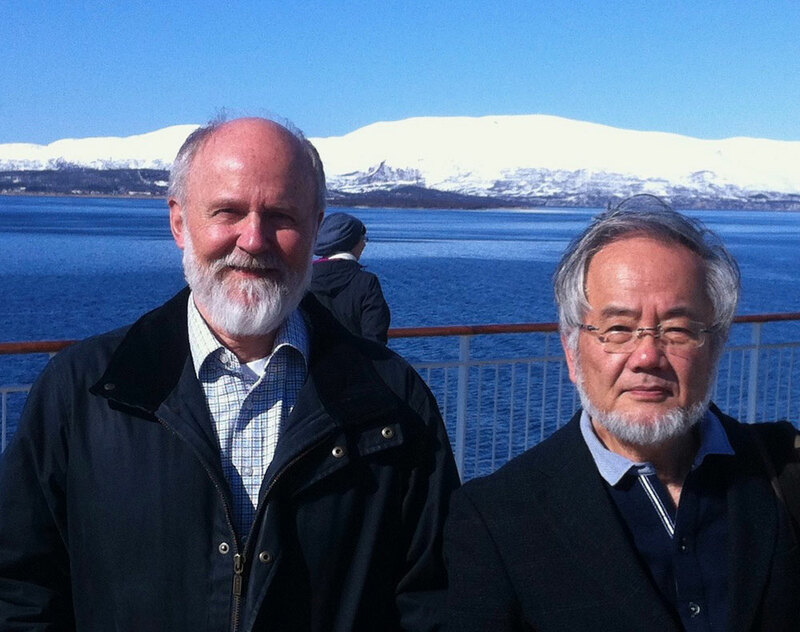 Ohsumi´s research, which was based on genetic studies of baker´s yeast, would not have been possible without the ground-breaking work of Per O. Seglen at Institute for Cancer Research in Oslo. In fact, in reviewing the background for the Nobel prize, the Nobel Committee mentions Per O. Seglen's introduction of the now widely used autophagy inhibitor 3 methyladenine as well as of the central role of the phagophore, the autophagy-initiating organelle discovered by Seglen. Seglen pioneered studies of starvation-induced autophagy using rat liver cells as model system. He characterized the autophagic process in detail, naming several of the organelles involved, and he developed ways to manipulate autophagy pharmacologically. Seglen was the first to realize the connection between autophagy and cancer, and pharmacological targeting of autophagy in cancer is indeed a goal for a number of ongoing clinical trials. Seglen has received several international awards, including Anders Jahre’s Medical Prize for younger scientists (1983), and the Kone Award for Clinical Biochemistry (1991), and he has served on the editorial boards of a number of journals, including Autophagy, Biochemical Journal and Experimental Cell Research, as well as on the board of the International Committee on Proteolysis (ICOP). Seglen has been engaged in research on autophagy, protein metabolism and cancer for more than four decades, and is the author of more than 400 publications which have been cited over 25,000 times. Even though Seglen reached retirement age two years ago, this did not stop him from continuing his research, and he is currently active as a visiting scientist at the Biotechnology Centre of Oslo. With several new and exciting findings that need to be followed up, the prize from the Cancer Society offers welcome funding to wrap up these studies. King Olav V's Cancer Research Fund was established in memory of King Olav V in 1992. Since then the prize has been awarded every year to researchers who have distinguished themselves by working for several years to improve the lives of many people.